The date of Shamkir Chess 2018 international tournament dedicated to the memory of late Azerbaijani GM Vugar Gashimov has been revealed. The chess tournament will be held in Shamkir on April 18-29. The grandmaster’s brother Sarkhan Hashimov said that chess players with the best performance in FIDE rating will be invited to the competition. “In addition to Magnus Carlsen, many leading grandmasters of the world, Shahriyar Mammadyarov, who is second in the FIDE rankings, as well as Teymur Rajabov and Rauf Mammadov are expected to participate in the jubilee tournament," he said. Notably, both Magnus Carlsen and Shahriyar Mammadyarov have become champions twice in previous four tournaments in Shamkir. Shahriyar Mammadyarov scored amazing victories last two years. 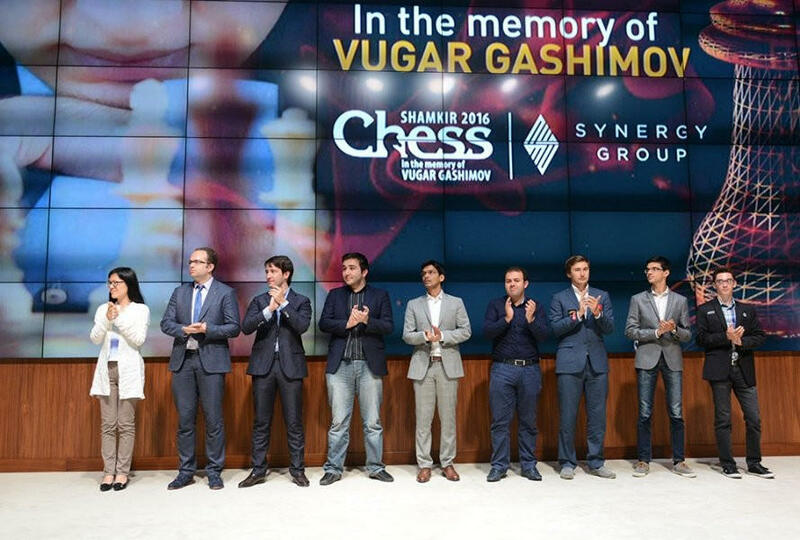 The Shamkir Chess is played in memory of Vugar Gashimov, a talented Azerbaijani grandmaster and world-class player who died in 2014 at the age of 27. Vugar was one of the world’s top players for a decade. His first significant tournament success was to win the U16 Kasparov Cup in 1999, which he did with a round to spare. Mammadyarov plays for draw in 12th round of "Tata Steel Chess"
Mammadyarov wins his fifth victory in "Tata Steel Masters"